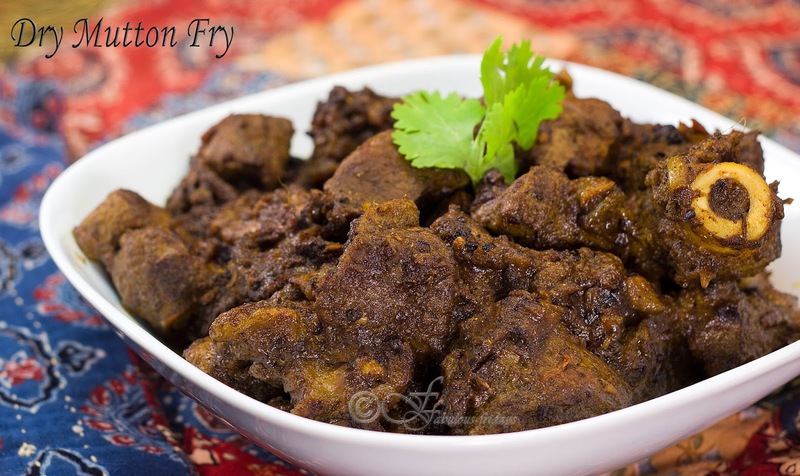 A delicious dry mutton fry dish that pairs beautifully with rice or roti. This is one of the faves in our house. Mutton pieces are tossed in whole spices and chilies till moist tender. This dish has no gravy, only a thick spicy masala clings to the meat pieces. The spice level is high, as it has both red chilies and black peppercorns. If your spice threshold is less then adjust the amount of these two ingredients. I usually cook the mutton in a pressure cooker prior to frying. You can also cook it in the pan by adding a little more water and cooking covered for 20-25 minutes. 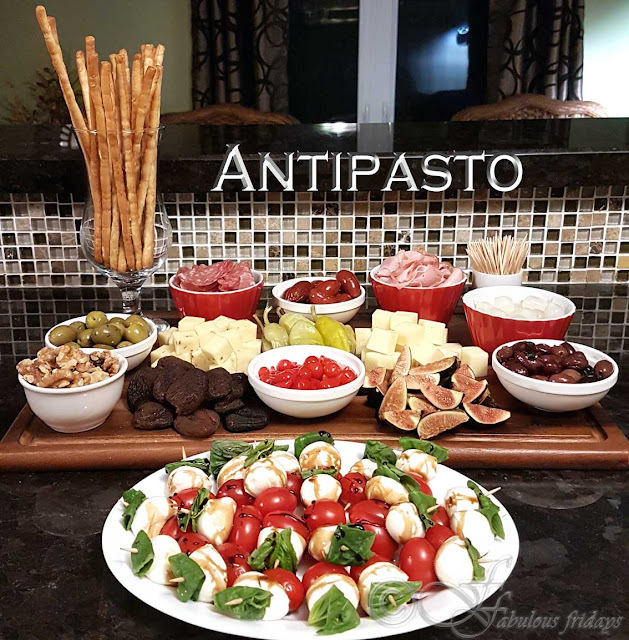 The spices and aromatics in this dish will set your taste buds alight with a symphony of flavors. Marinating mutton - Season the mutton pieces with salt, turmeric powder and red chili powder. Crush ginger and garlic and mix it in. Cover and refrigerate for a minimum of 4 hours. 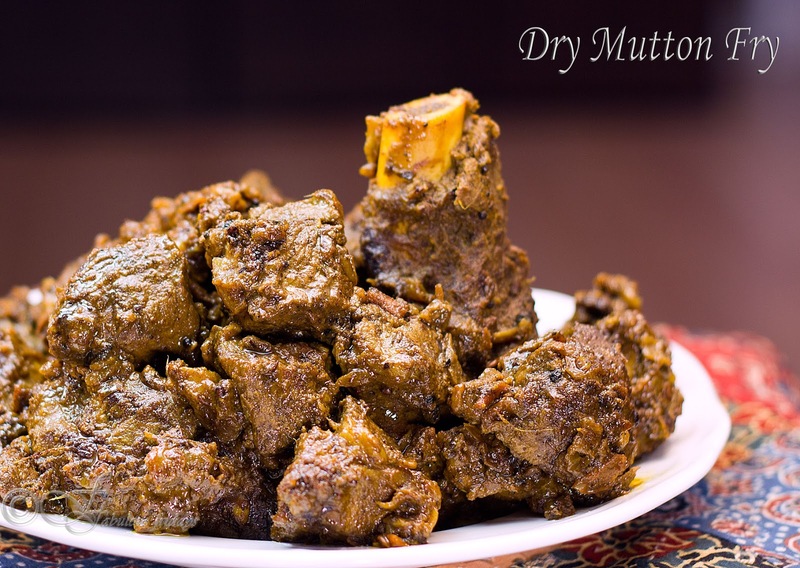 Cooking mutton - Place the marinated mutton with a ¼ cup water in a pressure cooker. Cook till the steam starts to escape. Simmer for 5 minutes and then take off the heat and allow the steam to release on its own. In a skillet dry roast all the whole spices written under dry spice mix till fragrant. Cool and then grind coarsely. Keep aside. Dice the onions very finely (or grate) and crush ginger and garlic. In a skillet heat the oil and add onions. Saute on medium high stirring for a minute and then add the ginger and garlic. Continue cooking on medium till golden brown. Stir frequently to avoid burning. Add yogurt and cook on high till the oil separates from the sides. Now gently add the cooked mutton from above including any liquid in the mixture. Season with salt as required. Keep in mind that the cooked mutton is already salted. Cook on high till all liquid evaporates and you see oil separating from the sides. Mix garam masala and sprinkle with fresh coriander and serve hot.